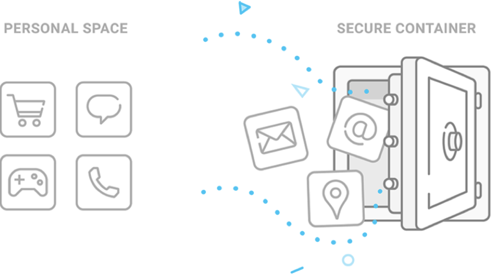 Knox Workspace is an app container that provides enterprises with a solution to securely isolate personal and work data on one device. Protected by best-in-class hardware security, Knox Workspace provides IT admins with granular management policies. The Knox Workspace goes far beyond the standard data isolation provided by competitor container solutions.